Community-supported agriculture farms began in the early 1960s in Germany, Switzerland, and Japan as a response to concerns about food safety and the urbanization of agricultural land. Groups of consumers and farmers in Europe formed cooperative partnerships to fund farming and pay the true costs of ecologically sound and socially equitable agriculture. Joining a CSA is a shared commitment between the consumer and the farmer providing some certainty to the farmer in the way of a secure market for our produce in the fickle world we know as farming. 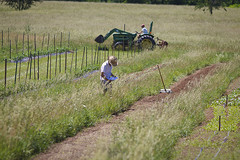 My goal at Happy Hollow Farm CSA is to provide the highest quality produce possible. I strive to offer the most organized and effective way for consumers to buy seasonally fresh food directly from a local farm. 1. I am curious to know if you use any GMO seed and use pesticides, herbicides, etc? We practice organic agriculture, which means we never use genetically modified organisms, or synthetic pesticides, herbicides, or fertilizers in raising our crops. We do use organic sprays and soil amendments. 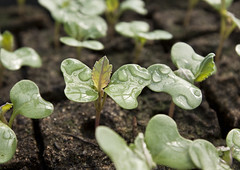 Organic farming is based on building up the soil, by adding manures, compost, rock powders, organic matter, and mulch, while rotating crops, growing cover crops, and looking for ways to partner with creation in our efforts to grow our crops. Organic pesticides are only used after other approaches, including beneficial insects, cultural practices, and physical barriers have failed. 2. Is the fruit share grown using organic practices? Our fruit share is usually not from our farm, and is usually conventionally raised, meaning is has been sprayed, as organic fruit is not generally available to us locally. We always give preference to sustainably raised fruit, but it is not usually available. 3. 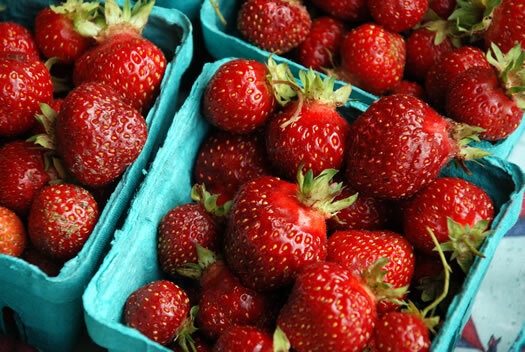 What if you have to purchase supplemental produce from another grower, how is that handled? We sometimes purchase produce from other growers to supplement our own produce. For example, we don’t have the acreage to grow Sweet Corn, so we purchase it from other local farmers. When we do this we will always explain how and where it was raised. Sometimes that means that this produce will be conventionally grown, with chemical fertilizers and/or pesticides but we have learned that our members prefer this to the alternative of not receiving produce due to crop failure, we work hard to maintain open lines of communication about this. 5. What is sustainable agriculture? 6. 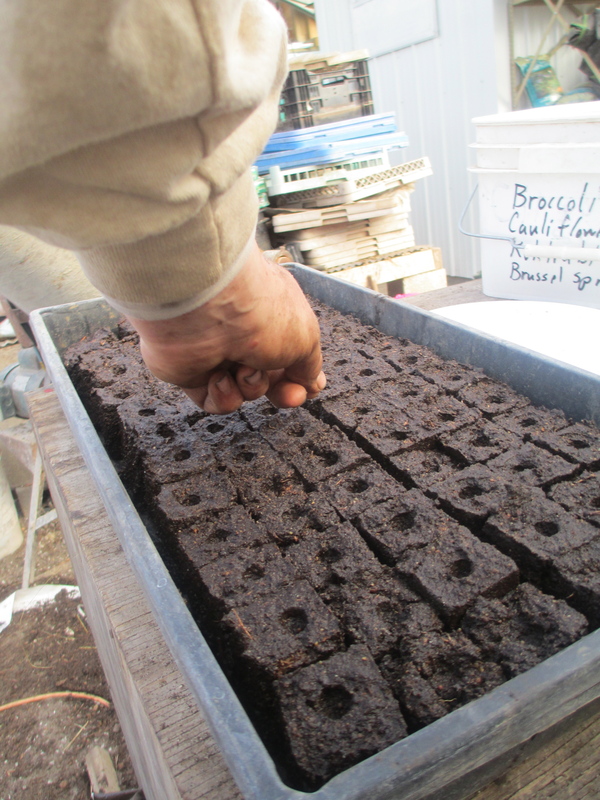 Do you use Heirloom seeds? We do not grow very many heirlooms, as our experience with them is that they have lower yields, of less marketable vegetables. We do grow many open pollinated varieties, plus many hybrid varieties, all produced through traditional seed saving techniques, with no genetic modification. I have heard about your Chinese high tunnel and was hoping for some pictures. 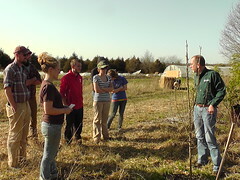 Eventually I and a few friends would like to come to your farm and tour it “live”. How many folks does it take to make a tour worthwhile?